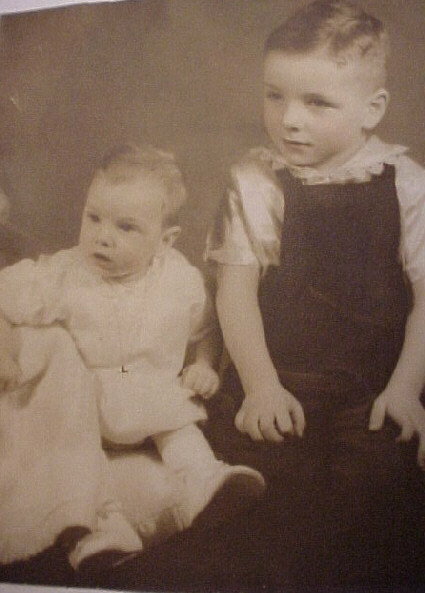 Comments: Bridget Lacey (Nee: Lacey) | Carrolltown PA USA | 1941-1960 | Comments: This is a baby photo of Bridget and Thomas Lacey. Bridget was six months old. She died at an early age of twenty-six.